Priceless photos. Unbelievable scenarios. Explore the interactive gallery over 11 themed zones, touch the art and have fun! 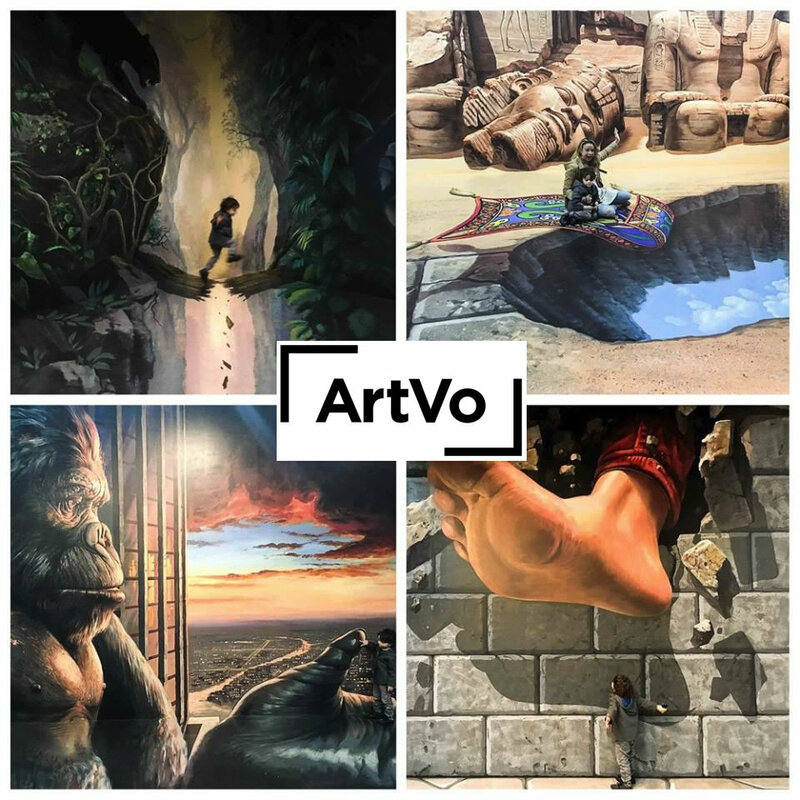 ArtVo is a new interactive 3D art or otherwise known as Trick Art museum - the first of its kind in Australia, Southern Hemisphere and the western world. Unlike normal art museums, visitors are encouraged to touch and interact with the artworks, photographing themselves and becoming part of the art. With over 11 themed zones you can explore, incredible, interactive large scale, painted directly on to the walls and floors - with additional sculptural elements added to allow visitors to immerse themselves into different scenes, locations and famous paintings. 14 artists with over 40 years' experience completed in excess of 100 hand painted artworks. Explore The Zones And Be The Art! Tips for taking amazing photos at ArtVo. Richmond & Burnley Historical Society Inc.